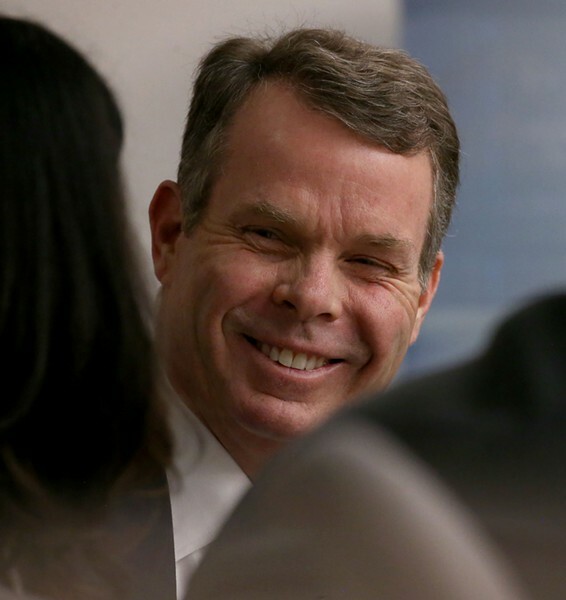 A judge ruled Monday that former Utah Attorney General John Swallow is entitled to reimbursement of his legal fees and costs from the state after his acquittal on all charges last year in a sensational public corruption trial. Swallow says his fees are at least $1.58 million but could be more because of accrued interest. The ruling by Third District Judge Andrew H. Stone is a blow to Utah Attorney General Sean Reyes who succeeded Swallow who resigned on Dec. 3, 2013, after only 11 months in office. Reyes’ office had argued that Swallow was not entitled to attorney fees because he was not in office at the time he was acquitted on March 2, 2017, and that he should have first brought his claim to the State Board of Examiners and not Third District Court. 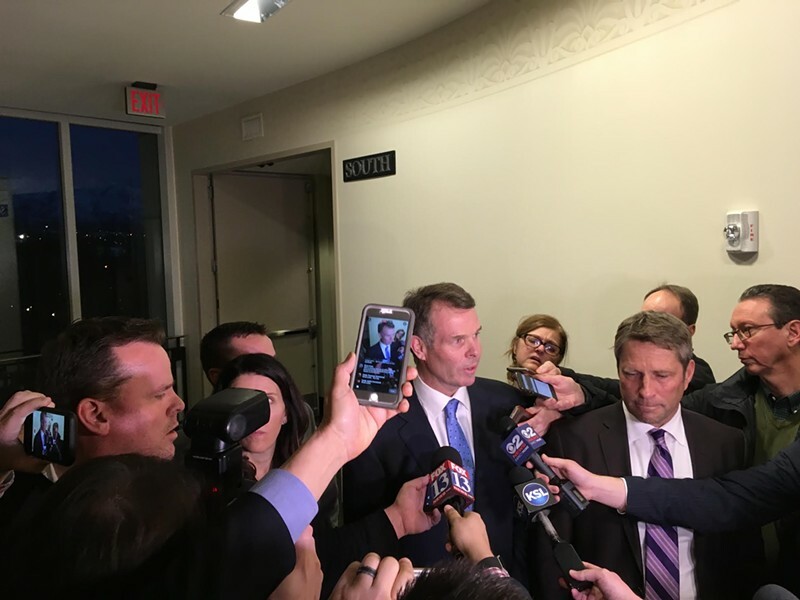 But Stone wrote that the language of Utah’s Reimbursement Act is “clear and unambiguous.” The statue covers “events” that give rise to charges while an employee or officer is exercising their official duties and not at the time of acquittal or dismissal, Stone wrote. The judge also found that under state law Swallow properly brought his case to Third District Court instead of the Examiners Board. 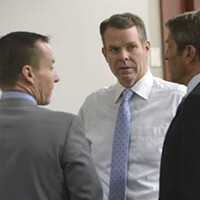 A state court jury found Swallow not guilty of charges stemming from the investigations that also ensnared Swallow’s predecessor Mark Shurtleff and Shurtleff’s friend and so-called fixer Tim Lawson. 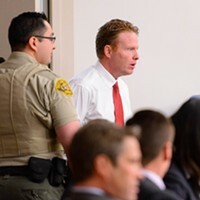 The Third District Court jury found Swallow not guilty of nine charges and four others had been dropped during the trial. Charges against Shurtleff were dismissed and Lawson died before his trial was scheduled to begin. 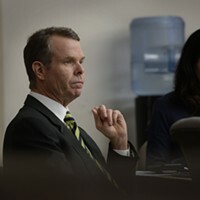 In May of 2017, Swallow’s lead trial attorney, Scott C. Williams, filed a claim with the Attorney General’s Office for $1.5 million for Williams’ fees and those of Cara Tangaro and Brad Anderson for representation of Swallow at trial, plus the bills from previous attorneys who had represented him and for fees for experts and other expenses. The claim said that Swallow would be willing to accept $1.3 million if the AG’s office agreed, which it did not. Swallow’s lawsuit pointed to a ruling last year in Shurtleff’s own lawsuit seeking to recoup $1.1 million in legal fees and costs. 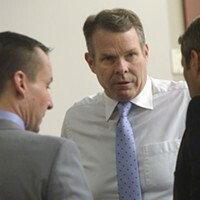 District Judge Bruce C. Lubeck ruled in September that Shurtleff wasn’t entitled to legal fees because his case was dismissed on the motion of the prosecutor, Davis County Attorney Troy Rawlings, but the judge also shot down the AG’s argument the law didn’t apply if the state employee was not in office. The Attorney General’s Office did not immediately return an email seeking comment on the Monday ruling.